My wife recently emailed me a link to this wallet company. ALL-ETT is based in the San Diego area and fabricates and sells a wallet with the claim to fame of being “the world’s thinnest wallet”. 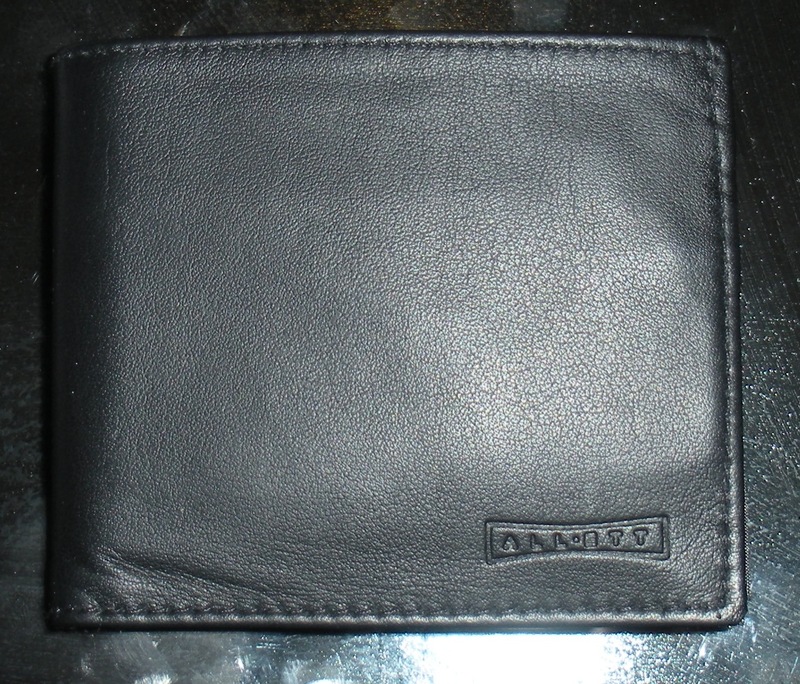 I have had a chance to review this wallet and am quite impressed with it. It is indeed thin, despite being made of leather. They achieve this thinness by making all the pockets and lining out of nylon material. The wallet is also available in all-nylon. They have different sizes and styles available. Mine is the Inside ID style. After having trialed it for a week, I am using it as my permanent wallet. It is also getting shown off to friends. Aside from ALL-ETT, I can’t think of another wallet company that manufactures in the US. There are certainly small craftsmen making wallets here. I’m sure you can find some on Etsy.com However, here is a full-production wallet made right here, at a decent price. If you are interested in the ALL-ETT, go to their website, http://all-ett.com. Below is a Q&A with Adam Muscat, General Manager of ALL-ETT. I like picking the brains of American manufacturers. They are the ones making the decisions to fabricate here, abroad, or nowhere, so it’s vitally important for all of us to know how they think. Q: Why did you decide to manufacture in the US? Q: Do you manufacture in-house or by a third party? Q: How many people do you employ and is your business growing? about 25-30% for the last few years. Q: Are you considering off-shoring? A: We are not considering off-shoring. We love manufacturing in the U.S.A.
Q: If you had a wish list, what would be some things you would have government stop doing immediately to make your life easier? myself do our part it is extremely frustrating. Just Bought a Minivan – Guess Which One? I recently had an accident that totalled my beloved Ford Focus (I was really quite fond of that car). My wife wanted to get a minivan and I would take her Mercury Mariner. So we decided we were going to buy American. We looked up which minivans are made in USA. Guess which ones are? Sadly, only Toyota, Honda and Nissan have American-made minivans. When we went to the Toyota dealership, I was impressed that not only was the Sienna assembled in USA, a full 80% of the parts, including the engine and transmission are made in USA also. I would much rather buy a car made mostly by American workers where the profits go abroad than buy a foreign-made car where the profits come to the US (I hope you’re listening, Ford & GM). The percentage of profit from such big-ticket items is usually quite small, around 5-8% on average, so the lion’s share of the money stays in the US. I wonder what percentage of each Apple ipad or iphone’s cost stays in the US and what part goes to China to make them? So remember, when shopping, just because the company is an American company doesn’t at all mean that the product is made in USA. Frequently, you will find foreign companies manufacturing in the US, while American companies are getting their products made abroad. Or you may have an American company with a foreign-sounding name, so don’t discount those either. So far, we love the Sienna. It’s the 2012 XLE with the navigation system and other perks, so it’s quite luxurious. It drives quite nimbly and the fuel efficiency is decent considering the size of the vehicle.